ECORAY, a trusted source of innovative x-ray imaging technology. 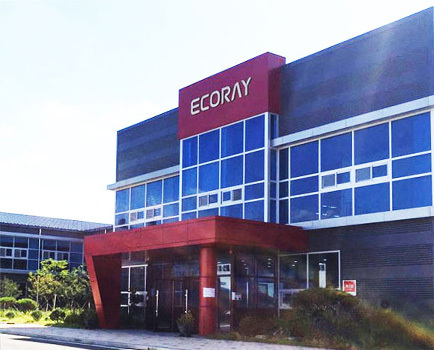 Today's ECORAY is the leading technology supplier in x-ray imaging field in Korea. ECORAY's all products are made in Korea with our own technology. We are committed to being a reliable solution for customers, providing stable quality and fast service. For complying with customer needs and achieving customer satisfaction, we are going to put every effort with great zest in order to improve, and develop ourselves. 1996 - Established by The technology of high frequency x-ray generators. by the Ministry of food and Drug Safety in Korea. 2005 – Registered as a venture business company by Korea Technology Finance Corporation. 2008 - Take off the company after merge with ex-Acoma x-ray R&D under 『ECORAY』brand.